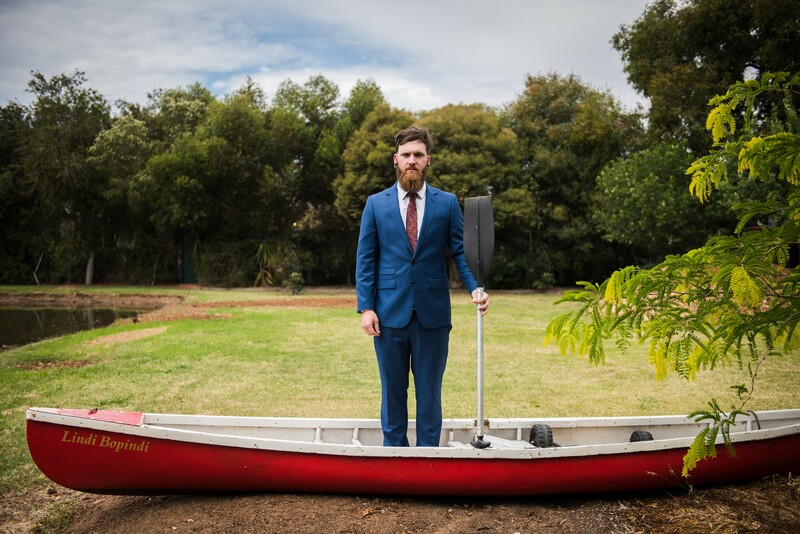 Echuca holds a special place in the hearts of Chloe and Dan Kavanagh. 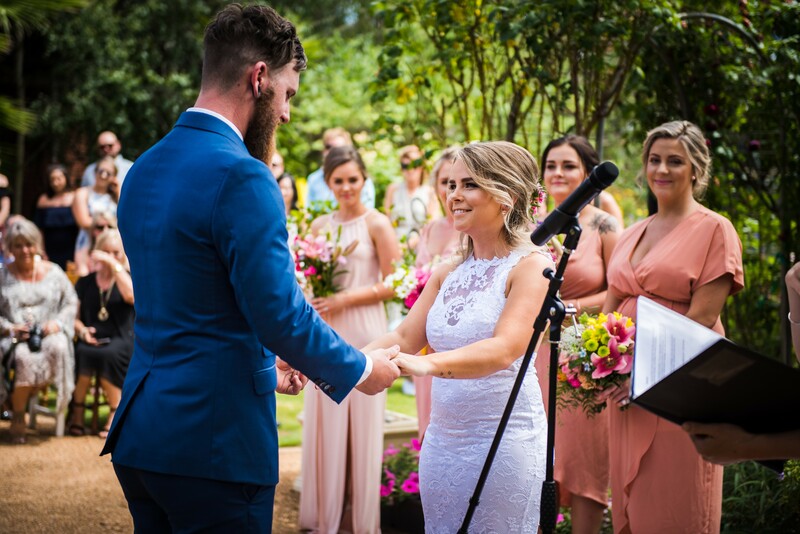 The couple grew up in the town and first crossed paths when they met as teenagers at Echuca High School. That was 12 years ago and the happy couple have been together ever since. They moved out of home when they were 19 and built their first home three years ago. 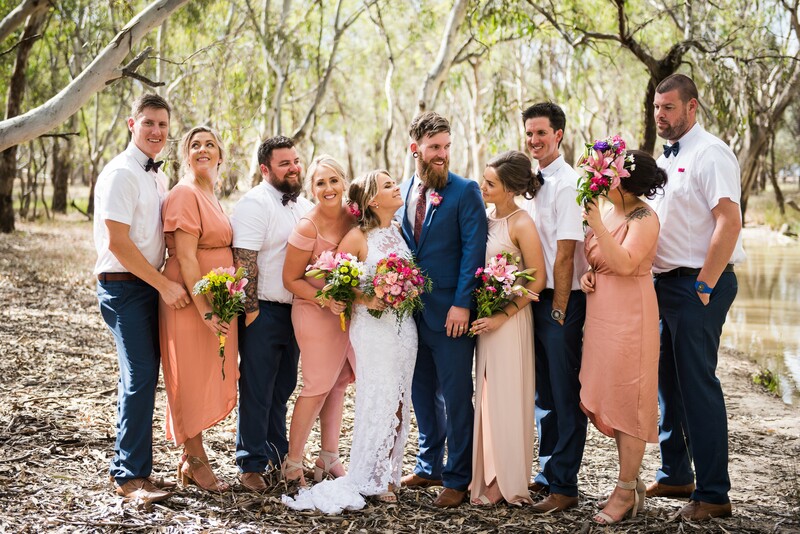 After a two-year engagement, the only thing left to do was tie the knot and they did that in style, surrounded by family and friends on Chloe’s Grammy and Pa’s property at Wunghnu – in their beautiful garden. “The block has been in my Grammy’s family for 100 years. 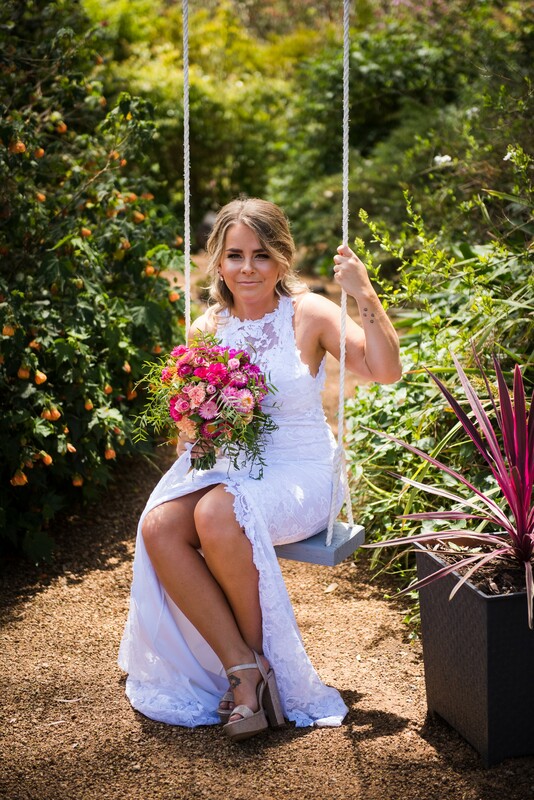 She was a florist and has such a beautiful garden so it was nice to celebrate that as part of our wedding,” Chloe said. 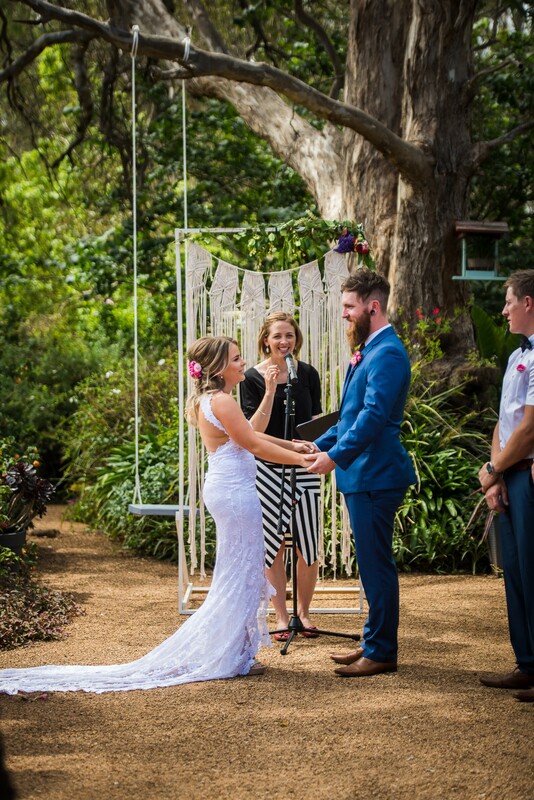 Chloe described the wedding as a chilled out and relaxing affair, with lots of laughter and a few tears. Chloe arrived at the ceremony in her dad’s 1928 Model A Ford Roadster. 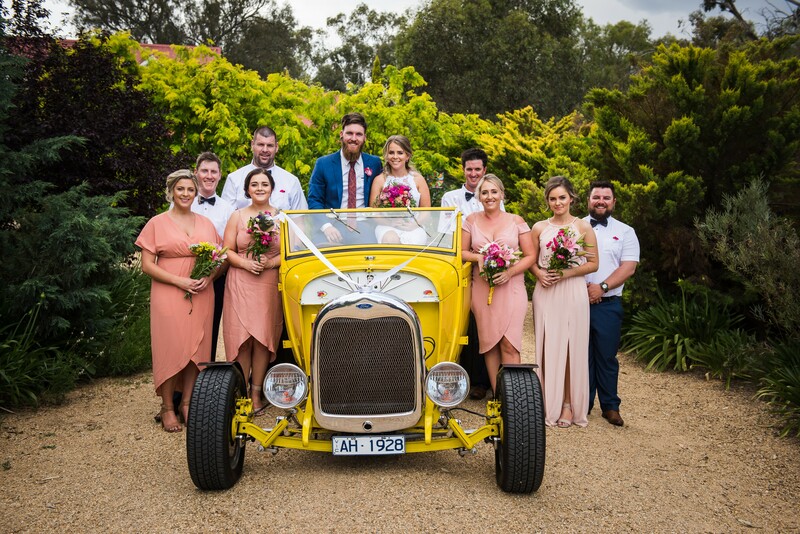 The Roadster even featured in the wedding photos, which were taken by Erica Smith from Mathoura. Chloe decided to add a little fun to her photographs, purchasing a black leather jacket online, with the words ‘Just Married’ on the back. 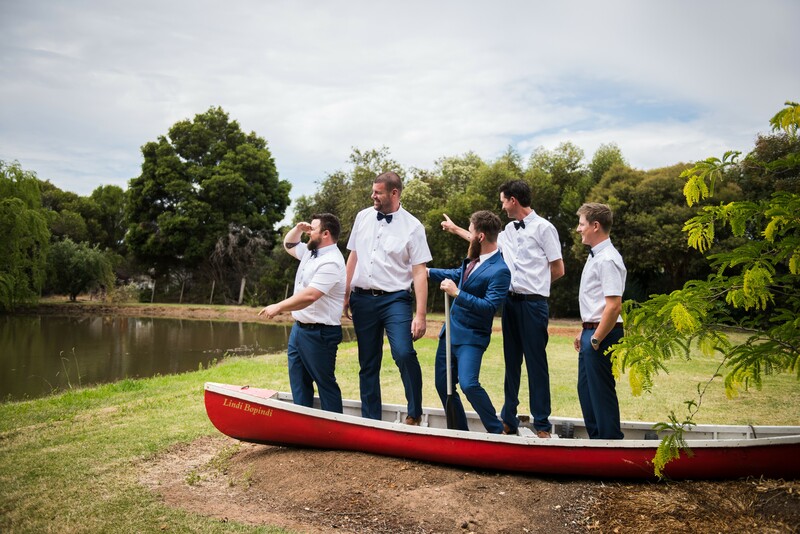 After the nuptials the couple and their guests headed into the Moama Bowling Club for the reception. Guests had a delicious two-course meal and were treated to doughnuts and cake for sweets. 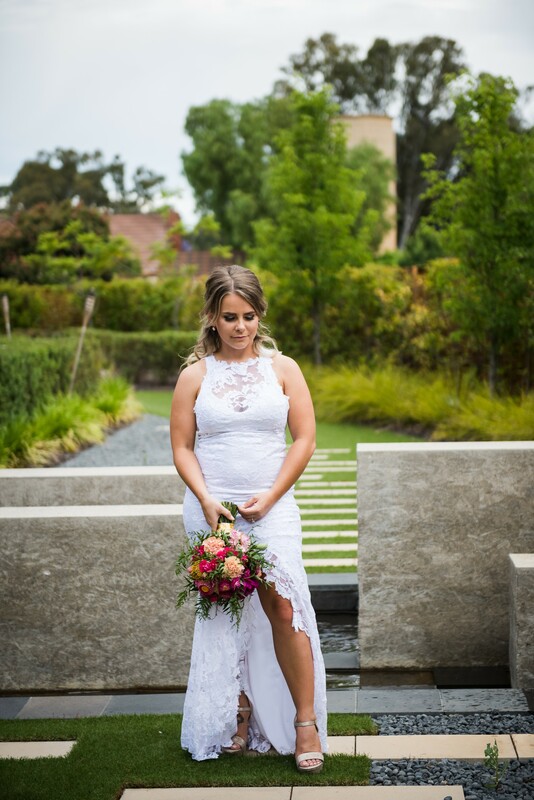 Chloe said the Bowling Club’s wedding planner Cindy was helpful, but really nice and laidback, which made planning the reception easy and stress free. And she said the wedding day was everything she thought it would be. 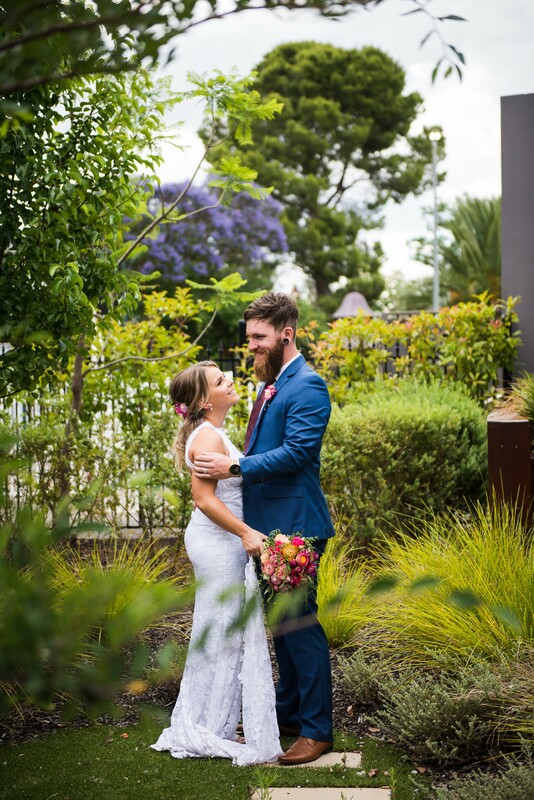 The couple chose to honeymoon in Tasmania and have another holiday planned for this year.